Who Does the "Spirit of Jesus" refer to? HomeBlogThe BibleWhat is the Spirit of Jesus? Paul uses a curious phrase in his letter to the Philippian church. 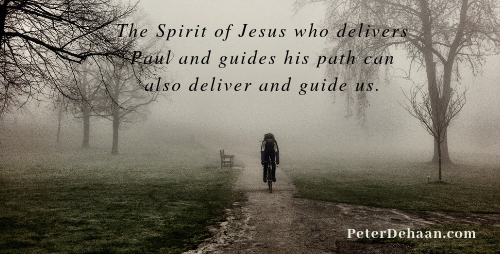 He talks about “the Spirit of Jesus.” Paul writes of his confidence that he will realize deliverance because of the Philippian church’s prayers and the Spirit of Jesus Christ. Are they talking about Jesus or about the Holy Spirit? Does the distinction really matter? After all Jesus and the Holy Spirit are both just different expressions of the same God. Christianity is a monotheistic religion; we worship and serve one God. Yet people on the outside often perceive of Christianity as polytheistic (or tritheistic). This is because of our constant references to three parts of God as God the Father, God the Son, and God the Holy Spirit. While it’s sometimes beneficial to separately consider these three aspects of God, we must not lose sight of him being one God. How do you understand the Spirit of Jesus? Which of the three parts of God do you most identify with?